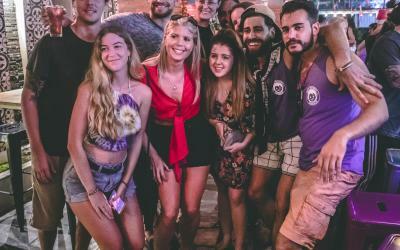 Mad Monkey Bangkok is a fun, friendly hostel with a great vibe and the best social scene for backpackers in the City of Angels. We’re located right where you want to be – minutes from Khao San Road, but tucked away on the canal for a slight buffer from the action. Come enjoy our clean and comfy rooms, outstanding customer service, and all the extra perks that our guests love us for – from our outdoor swimming pool to our dynamite food & drink specials. Press Play to see what’s waiting for you at Mad Monkey Bangkok! 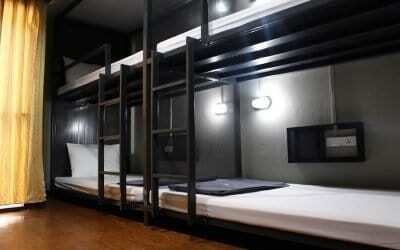 Why Stay at Mad Monkey Hostel Bangkok? 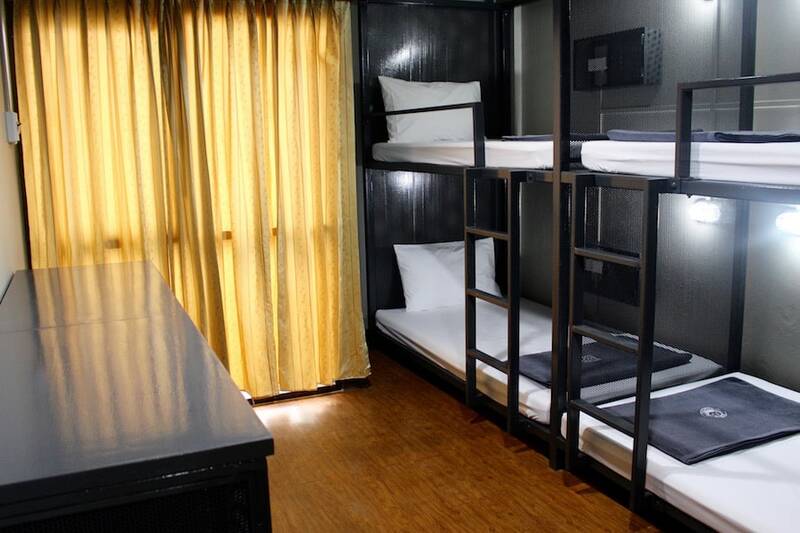 Mad Monkey Hostel Bangkok Thailand is a new addition to our Mad Monkey fleet of hip and happening backpackers resorts and the first Mad Monkey in Thailand. The newly refurbished hostel boasts a large swimming pool next to the canal. 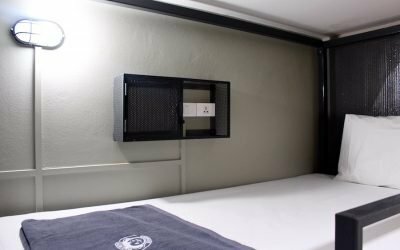 For accommodations we offer a host of upscale private twin and double rooms with en suite bathrooms, as well as small mixed and female-only dorm rooms kitted out with all the best features: individual charging points, private lockers, reading lights, air conditioning, en suite bathrooms, and tons of space in each bunk. 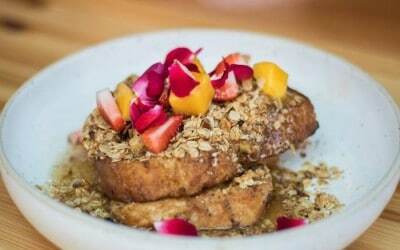 Mad Monkey is more than just a Bangkok party hostel. We’re set up to be one of the best social stays in Bangkok with lots of common spaces, a large restaurant and bar, a swimming pool, and excellent facilities for the discerning backpacker. Our focus every step of the way as we built this hostel has been to provide a great social experience for our customers in a comfortable and safe environment. As with all Mad Monkey Hostels, we provide a female friendly / LBGT friendly / everyone else friendly vibe. 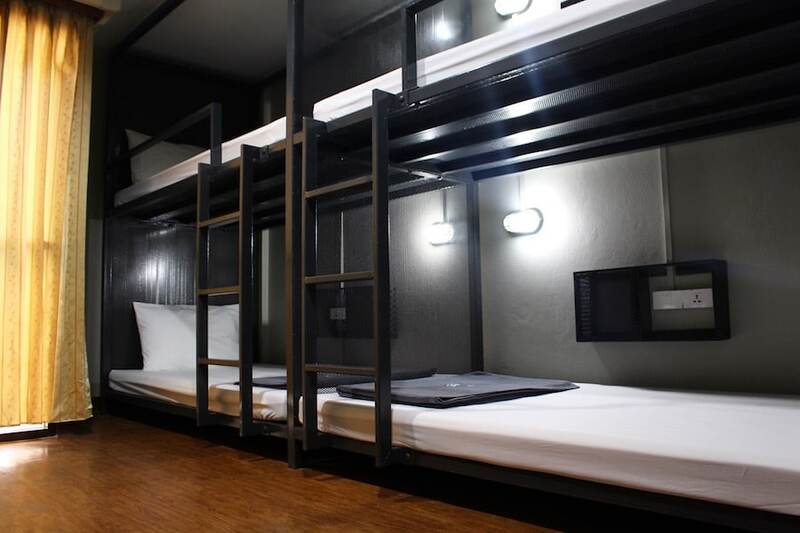 This is one of the best hostels in Bangkok for solo travelers to meet, mix, and mingle. On any given day we’re full of a diverse crowd from around the world, and everyone is keen for new friends. Don’t just take our word for it! You will find all of our hostels are highly rated on Hostelworld, TripAdvisor, Google, Facebook, and wherever else reviews can be left. Our mission is to give you the best stay possible while you’re with us, while also benefiting the local community as much as we can. We never stop until we’ve achieved both goals. Mad Monkey is located in Rambuttri village which is just next door to to the busy Bangkok backpackers’ area of Khao San Road. 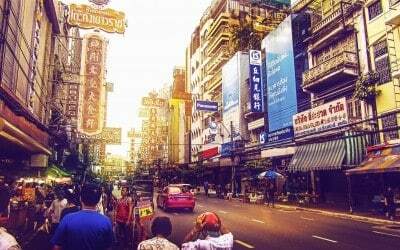 Our hostel is just a 5 minute walk away from Khao San Road itself, the hub of the backpacking universe. 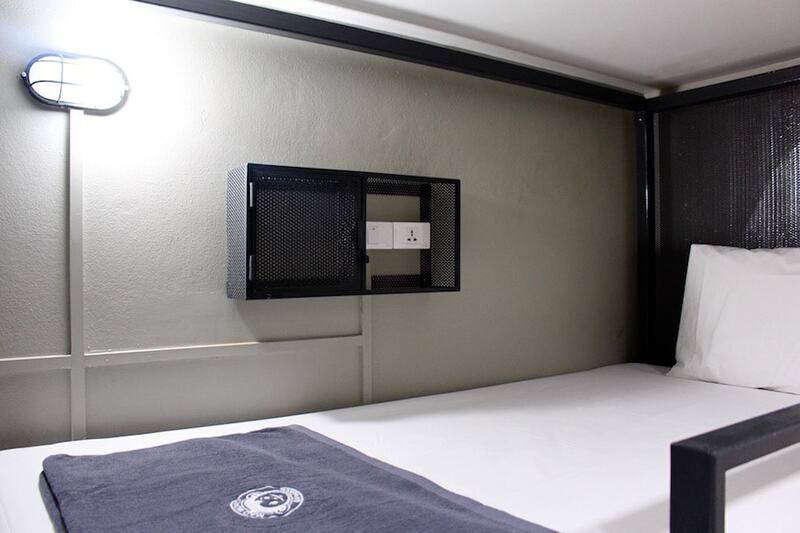 Unlike many of the Khao San Road hostels though, we are tucked away just far enough from all of the Bangkok nightlife craziness that you can get a sound sleep in our comfortable rooms. 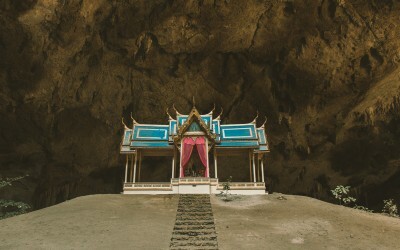 All of Bangkok’s most popular attractions are close to our hostel. Within walking distance, you’ve got the National Gallery, Bang Lamphu Market, the National Museum, the National Gallery, the National Theatre, Sanam Luang Park, Khao San Road, and tons of amazing cafes and street food stalls. We can also give you directions and hook you up with a tuk-tuk or taxi if you want to venture slightly further out. A few minutes’ ride away you’ll find the Grand Palace, Wat Pho, and several other temples, markets, shopping malls, and so on. In fact, our friendly team is full of recommendations for Bangkok nightlife and shopping opportunities – again, all conveniently located right in our neighbourhood. 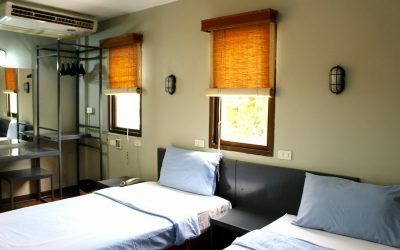 So if you came to this page via a search for “where to stay in Khao San Road”, we suggest re-jigging your plan slightly. Stay with us, just a couple minutes’ walk away from Khao San, but in a beautiful and safe area of Bangkok. 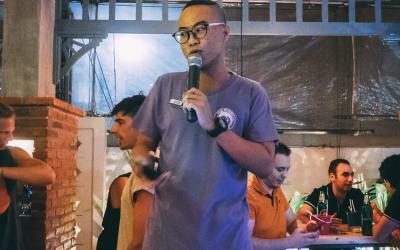 You’ll have your own pool and pleasant surroundings, plus you can enjoy the social and party hostel vibe that Mad Monkey is famous for across Southeast Asia. 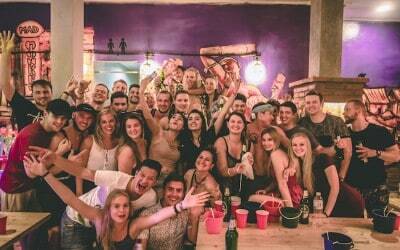 As with all of our tremendously awesome hostels, Mad Monkey Bangkok provides a full travel and tours desk. Our always-smiling team will help you to arrange your onward travel, day trips, sightseeing, and Bangkok experiences. We’ll give you real advice on what is worth seeing, what you can miss, and the best ways to get from A to Z. We can also help you with your bookings and reservations for your next destination. Our tours of Bangkok are not to be missed! 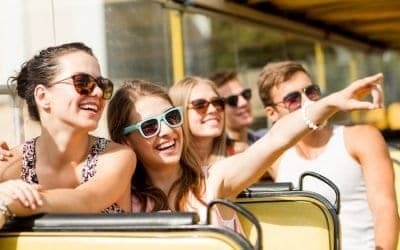 We take all the planning out of your hands, and serve you up a variety of awesome day trips around the city. 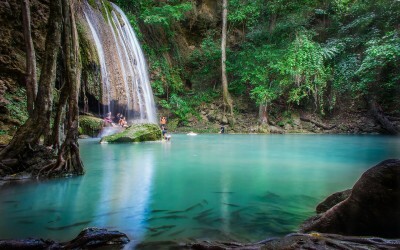 Our Thai Tours & Travel Manager has taken the time to put together unique itineraries for every day of the week that explore the truly local, un-touristy Bangkok attractions and experiences. Muay Thai in an abandoned TV studio? Shopping at the markets only the locals know about? Yeah, we do that – and much more. When you join one of our tours you get to meet new friends from around the world in your group, plus you benefit from the expertise of a trained local guide that will give you the real story of whatever you’re looking at. 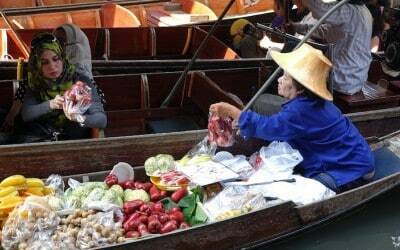 It’s the best way to see Bangkok if your time is limited or if you’re just tired of the same old tours. 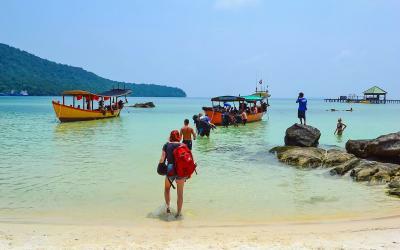 If you are using Bangkok as your jumping off point to Cambodia then a stay with us makes absolute sense. Mad Monkey has a bangin’ hostel in Siem Reap. We will help you arrange your transfer between Bangkok and Siem Reap. You’ll be exploring the Angkor Wat Temples in no time, and your accommodation can all be sorted before you’ve even left Bangkok. Hey, we may even throw in a discount! 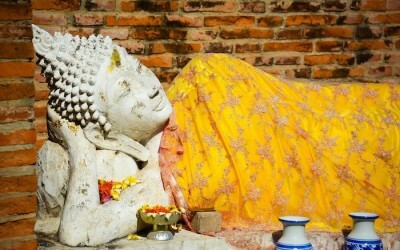 Our hostel is located right in the heart of the action for backpackers in Bangkok. We’re minutes away from the legendary Khao San Road. 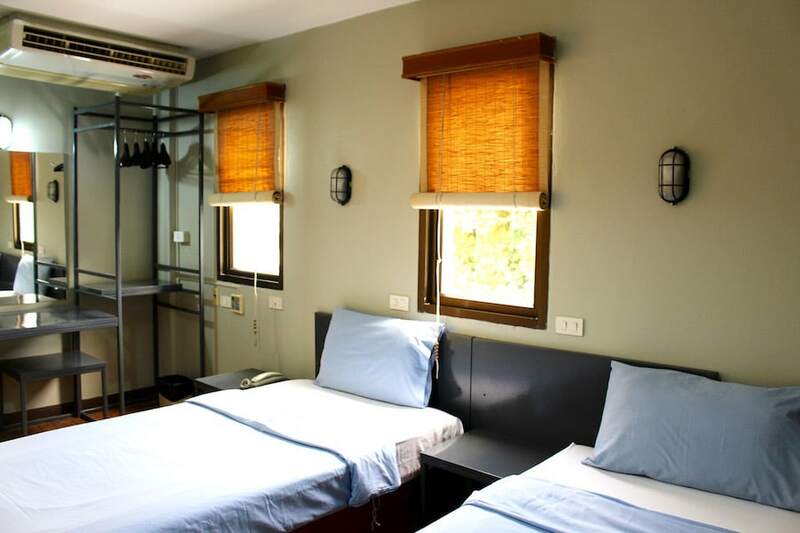 The hostel itself sits on a peaceful bend of Phra Sumen Road, though, overlooking the canal and a few metres from a historic fort and a peaceful park on the Phra Sumen River. Our vibrant neighbourhood is full of restaurants, cafes, shops, convenience stores, and more – anything you’re looking for can be found within walking distance. By Taxi: Give the driver Mad Monkey’s address (included below in English and Thai). Make sure you take a taxi with a running meter. This will work out to cost less than a set fee. Taxi drivers only accept THB currency, and do not take credit cards, so withdraw money at the airport if you don’t have any yet. The total price on the meter will not include the airport surcharge and toll fees (if you take a route with tolls). By Airport Rail Link: This is a cheap way to get into the city. The Airport Rail runs from 6:00am to 12:00 midnight. A train arrives at the airport every 10-15 minutes. Take the City Line. Get off at Phaya Thai BTS Station. From Phaya Thai you can (1) take a taxi or tuk-tuk to Mad Monkey (see our address below) or (2) take Bus #59 to Khao San (Khok Wua Junction on Ratchadamnoen Klang Rd), then walk from Khan San Road to Mad Monkey (about 10 minutes). By Bus # S1: You can take this bus at the airport from Gate 7 on the 1st floor. The bus runs from 6:00am to 8:00pm. The ticket is only 60 THB. 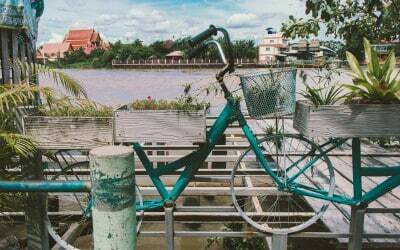 Get off at Phra Sumen Road stop and walk towards the river until you reach Mad Monkey (a few minutes). By Bus #A4: You can take this bus at the airport from Gate 12. The bus runs from 7:00am to 11:00pm. The ticket is only 50 THB. Get off at Phra Sumen Road stop and walk towards the river until you reach Mad Monkey (a few minutes). By Taxi: Give the driver Mad Monkey’s address (included below in English and Thai). Make sure you take a taxi with a running meter. This will work out to cost less than a set fee. Taxi drivers only accept THB currency, and do not take credit cards, so withdraw money at the station if you don’t have any yet. The total price on the meter will not include toll fees (if you take a route with tolls). By Bus #3: You can get on Bus #3 from inside Mo Chit Terminal. Get off at Chakrabongse Road (behind Khao San Road) or Bang Lamphu, which is the closest bus stop to Mad Monkey. It’s about a 5 minute walk to the hostel from here. Walk towards Phra Sumen Fort (Pom Phra Sumen) and you will see Mad Monkey. By Bus #2 or #511: You can get on Bus #2 or #511 outside the terminal but on the same side of the road. Get off at Khok Wua Junction on Ratchadamnoen Klang Road. From here it’s about a 10 minute walk to Mad Monkey (head towards Phra Sumen Fort (Pom Phra Sumen) and you’ll see the hostel). * The bus system in Bangkok is very complicated. The most important thing is to make sure you get on the bus on the correct side of the road, so that you’re heading in the right direction. When you board the bus, tell the driver where you want to get off and they’ll signal you when it’s your stop. If you get lost, it’s easiest to get in a taxi. *** Phra Suman Road is sometimes also referred to as Phra Athit Road – if your taxi or tuk-tuk driver says this, it’s okay. ****If you make it as far as Khao San Road but you’re not which direction to go to find Mad Monkey, ask someone local which direction Phra Sumen Fort (Pom Phra Sumen) is in – Mad Monkey is just down the street from the fort, away from the river.